If I was any more excited I’d actually catch fire. Seriously though super hyped for this, amazing updates, love that you keep us up to date. Still looking amazing! (This is my first time commenting even though I’ve been following this game ever since you guys partnered up with Chucklefish.) I have to say I really hope you keep the Joja Corporation storyline in since it sounds interesting, would contribute to the end-game goal of the game, and since we’re already been waiting this long for you to produce the best game you can, we can wait a little longer to have it be exactly the game you imagined it to be. I really believe that I couldn’t like more the game… But looking at this pictures, man, I have to confess that you impressed me a lot! You can ask 50 bucks for this game and I will happily buy. Love the maze!! Want to explore it pretty badly already, looks like a fall event so I’ll have to be patient. Looks great! I think I’d like it best with the Joja storyline but I’ll be happy with or without. Looks amazing! Thank you so much for your dedication and fantastic work! Looking fantastic still; can’t wait for the game’s completion! I really like the colors in your art. Everything looks nice. I’m loving this update!! All the colors!! Everything looks like it’s really coming together now, and that makes me very happy to see 🙂 Winter looks especially nice, too. I do hope to see the Joja Corporation storyline in-game, but I hope it isn’t integrated in a way that artifically limits the game’s scope. 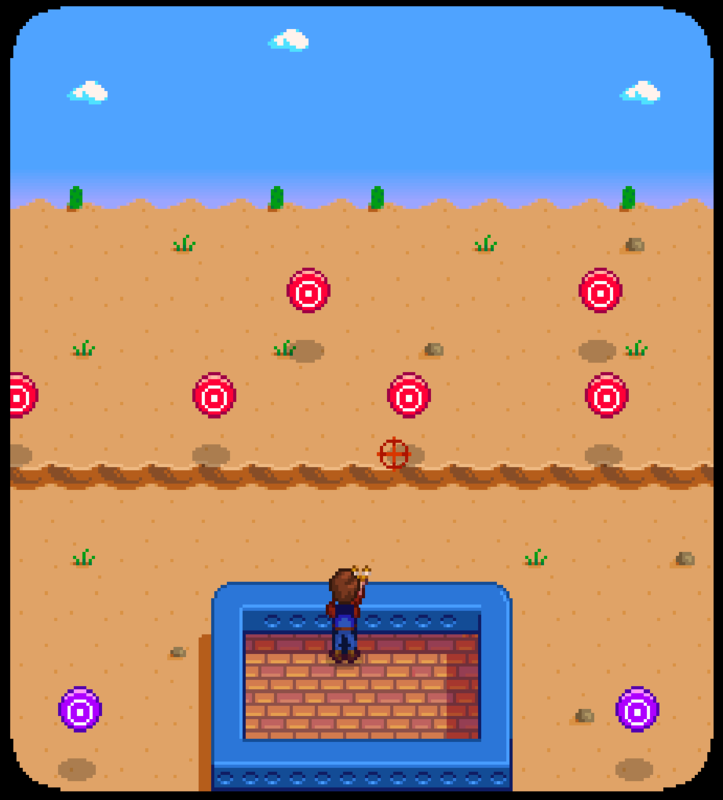 I’m thinking of some of the Harvest Moon games where the presence of a goal-driven narrative shortened the game considerably giving you less time to just enjoy the sandbox and instead rushed you through a series of tasks that may or may not be interesting to you (Save the Homeland). I would suggest doing something similar to Magical Melody where you can actually tie in a sort of achievement system to the game progression, whereby completing certain tasks unlocks the next tier in the story and allows players to progress at their pace (or ignore it altogether). I like the idea of letting players progress through the storyline at their own pace. I find it a hindrance too when something’s time-limited, or if by going into an area you trigger some thing you didn’t want to. Not really sure how that latter idea would be implemented, but just by thoughts on it. Why? Its not CSGO – 3D most realistic bloody entrails hung like garlands around trees and thelegraph poles with no reason and idea. I belive than price will be absolutly normal about 10 Evro. at begin the price was +15 Euro. Now after all his work for this long period, I can’t imagine it’s just 10 Evro. If you like it, value it. I’m from the US and I do not mind paying $20-$30 US Dollars for this.. I have been following this for atleast two years now or more.. Along with many friends which have been wanting to pre-order and give him the money to fund this. I’m still shooting for somewhere around 10-15 euros/dollars. There’s no way it will be 30! I promise. Brilliant! Well worth the wait! I know people are getting impatient, which might drag you down at times, but its only because this game looks fantastic; take all the time you need! Agreed! It’s easy to feel impatient when you’re so excited about a thing. This game is going to be great! God, this looks so gorgeous. I’ve been eagerly following this game ever since I saw it on Steam Greenlight and I’ve yet to be disappointed with any update. The problem with creating a storyline in a game like this is trying to make it engaging while also not being too invasive for people who want to ignore the storyline and just play the sim aspects of the game. I like the idea behind it, but I wouldn’t mind if it’s dropped either, whatever is easier for you. Although a little complicated, the ideal for me is having a character (or characters) who initiates the story, is in charge of giving you your objectives and is involved in pushing it forward. As you fulfil an objective, you get another to do and it progresses like that with cutscenes every now and then after a major objective is fulfilled. Along the way, more characters may become involved in pushing forward the story. To introduce the storyline, there’ll be an unskippable event where you hear about the corporation somehow (the news, a character) and you’re now able to choose if to progress the storyline at all. Anyway, like I said before I went off on this tangent: a little complicated. Winter looks pretty. Joja Corp, wanting to strip mine the land, or they shake you down taking whatever money you make. You get angry and find a way to take them down for shaking you down. Ok…..maybe not that for a storyline for joja. Really exciting! There’s a lot of good content here! Looks Great, Can’t wait for release. Strengh Man. Send notices about your work. I love to see people like. Tha fight and shows works from the start with humility, integrity and honour. You are one of the few…. i hope there is post release updates, more minigames, silly storylines, and other fun stuff that gets added later, this seems like a great game. I would EASILY pay $20 to play this now, knowing there are going to be bugs and missing content. Same here. I cant wait to play it! As for jorja storyline: personally I wish he just focus and release the game, he can probably add that later in a patch anyways. But thats me.. This is awesome! Can’t wait to play the game. But taking your time to make sure everything’s good is great though. Looking forward on hearing news about the Joja corporation storyline. I really hope that I can play on that playground with my friends in co-op. ConcernedApe, you are doing a great job on this game, and I CAN’T WAIT for it to come out! I will pay any price you put on it! When I first saw this game, I was on the Risk Of Rain forum. I went to see what it was and it looks pretty amazing. It was a concept of game that I have honestly never seen before. Although my friends might think of me as a complete loser for getting this game, I think of this game going to be an Interesting and wondeful experience. I’ve seen some neat things in these updates so far. I am mosty interested in games like these because I like to see different genres of games come into bloom in majestic sort of way. I may just be a 14 year old boy, but my mind is wide and full of ideas. This game has a heart warming look and Im excited for it. The concept of a farming/life game is kind of a beautiful thing Iin my eyes. I honestly got kind of bored with the Sims because of what seemed like the same playthrough everytime you played. I know that sounds confusing, but I mean games like Starbound and Minecraft, the feel that keeps wanting you to come back to the game. Both games have a great modding community and has wonders of amounts of people that love the games. I have a strong agreement with Throndir and I would love to see this game have a mod community. Adding in there own addidtional content or even You, ConcernedApe, making DLC for the game. P.S. If anybody, I want to be Elliot. Which also reminds me, what if people could go out with the people that you had in the previous dev updates and when you beat the game or do something special with them, they can become a playable character. I know that you cant possibly take everyone’s ideas. Some are good and some are not. But like a lot of people in this community are uber excited for thisgame to be released. I will look into it. 🙂 I’ve heard of the game before but I couldn’t quite remember what it was called. I just really want to know when this game is released, like everyone else. I’d definitely buy this game on the spot. Awesome progress, keep up the great work! This game looks so amazing. I haven’t been following the development as long as other people here, but I really cannot wait to play it. One thing I have always been wondering about this game… Is it possible to lose? I always felt that aspect held a certain kind of appeal with the harvest moon games.. though I dont think they ever really executed it well except for in the wonderful life games. If ur still considering how to go about the Joja arch, I think it may be a good idea to entwine the joja storyline and the marriage storylines somehow. I.E. making a future for your family worth living while still being a good husband and father in the present. Just a thought. It would add a nice story element of not becoming a distant father while working for the sake of your family n’ such. Thanks for the regular updates. It seems that just as I start to resign myself to waiting, you post again and I get excited over all the new hard work. Go grow some onions , by the time they are ready this will be out i rekon ! I am so excited for this game! I’ve been following it for a while, and it’s sort of a culmination of all those little things I wish I could fix about Harvest Moon. It looks fantastic, and I’d be one of the first to buy it! In my opinion, the Joja corporation storyline would greatly add to the appeal of the game. Even though I still really enjoyed the few Harvest Moon games and some other farming simulation games that didn’t quite have a storyline, it became a little tedious after a while. For the time being, I’m sure I would be able to simply enjoy the challenge of building up my farm and starting a family, but I agree that the game would benefit from having a few satisfying milestones. I’m happy with it being added as an update, if that’s a possibility. But, that being said, the game is still an amazing one as it is, and I’d like CA to create it however he’d like! Keep up the good work! Awesome update Ape. The game is looking amazing! Long time lurker. I just want to say that I love the updates that you do and am more than happy to wait for the complete game rather than some early access type deal many people ask for. I want this game to last, and I feel that I’ll have a more happy and longer time playing this game if it’s released in its complete state *coughstarboundcough*. I am so excited for this game! Getting this the day its available. The playground is a nice touch to add realism, and I love the spooky maze! I am so excited about this game!